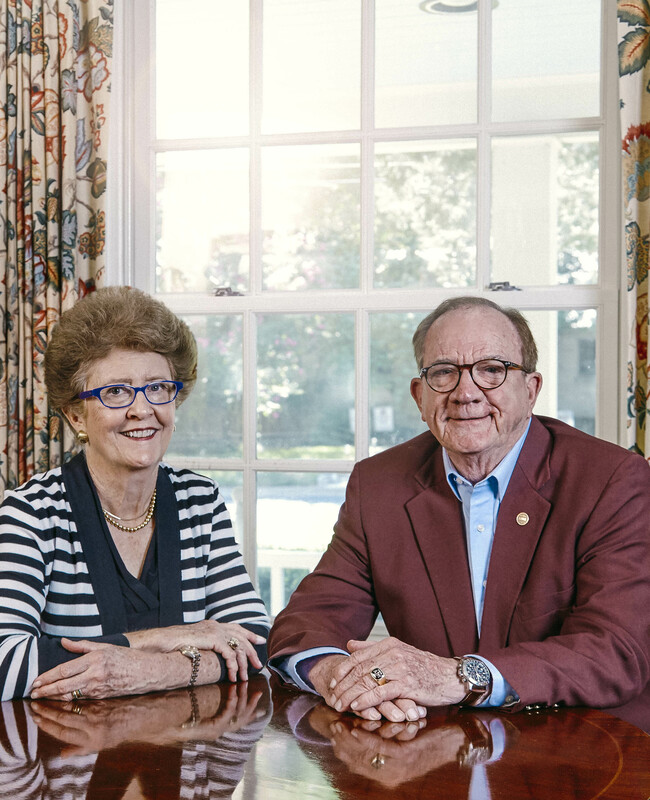 Lynn and Richard Box '61 created a charitable remainder unitrust which will benefit them as well as future Aggies. When Dr. Richard Box ’61 walked into The Flower Bucket in Austin, his intention was to purchase a bouquet for his mother. By the time he left the shop, he had not only obtained flowers, but a date with the store’s owner—a young widow who would eventually become his wife. Looking back on that day, Richard now concedes that his purpose for visiting The Flower Bucket was two-fold: Before he ever stepped foot in the store, he’d been clued in about the attractiveness of its owner. “I might have had a friend who said a word or two,” he admits with a smile. Richard and Lynn Box married in 1985. Since that day, the Aggie and the Longhorn have put school rivalries aside to instead focus on their common passion: education. Most recently, pursuing that passion has come in the form of a planned gift to the Texas A&M Foundation. “We both have strong backgrounds in education and school teaching, and are well-aware of the role learning continues to play in our lives,” Richard explained. Supporting Texas A&M University financially, he said, is a way they can spread educational opportunities to others long after he and Lynn are gone. “Each generation that is educated to the full extent that it can be not only improves itself, but also society as a whole,” he said. When Richard retired in June, the couple followed through on plans to convert proceeds from the sale of his dental practice into support for Texas A&M. However, they also wanted to ensure that they would have the necessary personal funds available to fully enjoy this new chapter of their lives. After visiting with Foundation staff members Glenn Pittsford ’72 and Tim Walton ’90, the Boxes decided that a charitable remainder unitrust would best meet both goals. A charitable remainder unitrust benefits the donor in terms of charitable tax deductions and possible capital gains tax avoidance. The main benefit, though, comes in the form of lifetime payments from the trust to the donor. Texas A&M benefits from the trust’s remaining funds after its owners’ lifetimes. Supporting educational endeavors comes naturally to the Boxes. Richard’s parents were both South Texas schoolteachers, while Lynn’s father taught at Texas Tech University. 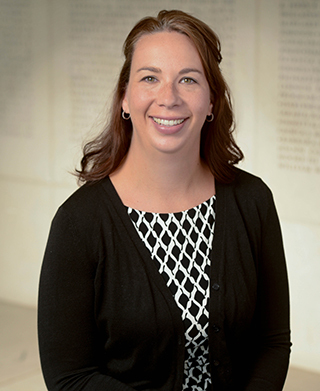 Lynn pursued an education degree at The University of Texas at Austin, later teaching junior high and high school English. Even after exiting the education field to open her flower shop, Lynn couldn’t stay away. After leaving the floral business, she took a job first in the UT chancellor’s office, then in the university’s Osher Lifelong Learning Institute, which provides educational opportunities for those aged 50 and over. These days, she can be found volunteering at Austin’s Settlement Home for Children, working with teenage girls who have endured abuse and neglect. 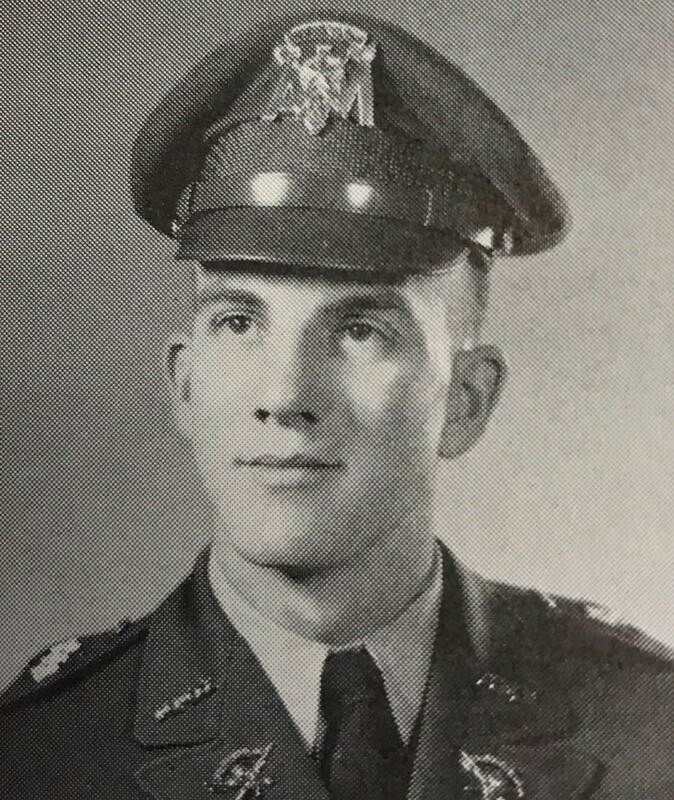 Richard Box, Corps of Cadets 1961. Richard has lived a full Aggie life. While a zoology undergraduate, he was a member of the Aggie tennis team and the Corps of Cadets’ 2nd Brigade staff. He served as an Army dentist during the Vietnam War, and, decades later, helped form a medical company for the Texas State Guard. Richard eventually became Texas State Guard commander, overseeing the Guard during the state’s response to Hurricanes Katrina and Rita, before retiring as a major general in 2006. In 2008, he joined the Texas A&M University System Board of Regents. He remained on the board until 2013, serving as chairman for the last two years of his tenure. In April, he was inducted into the Corps of Cadets Hall of Honor. Bolstered by the financial security that comes with a charitable remainder unitrust, the Boxes not only celebrated Richard’s retirement this summer with the Texas A&M Foundation gift, but also with a trans-Atlantic cruise on the Queen Mary II. The cruise was educational—of course—featuring a group of World War II survivors who gave talks about their experiences. To learn how a charitable remainder unitrust can benefit you, your family and Texas A&M University, request a charitable remainder unitrust kit.